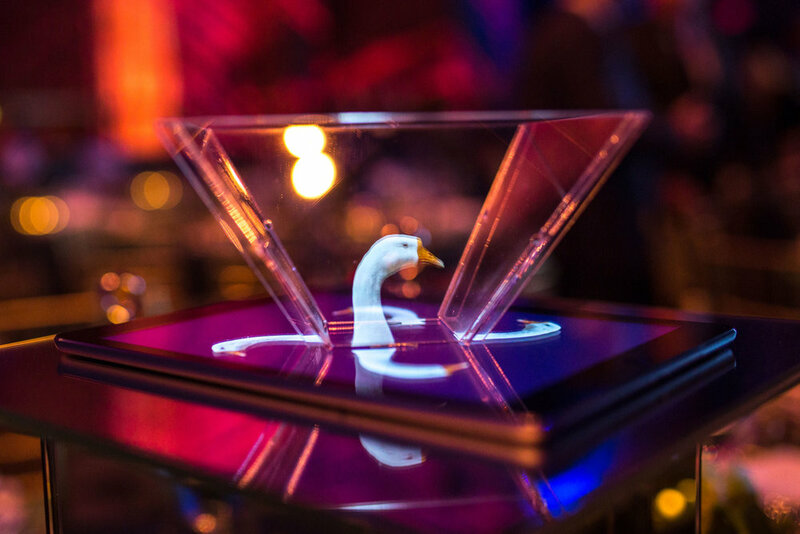 I co-designed and delivered centerpieces for the 2016 and 2017 National Audubon Society’s annual gala featuring birds that seemingly appeared from nowhere. We did this using the simple Pepper’s ghost illusion. Bookings available through Guerilla Science.